EghtesadOnline: Following the visit of a US mission to Armenia to brief the southwest Asian country on reimposed sanctions against Iran, Yereven said there is no need to make any changes to economic ties with Iran. “We don’t see the need to make any change in them. 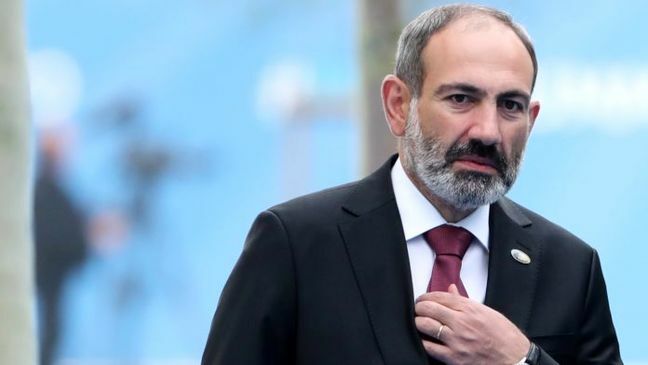 We need not only maintain the good level of these relations, but also to raise them to a new level,” the acting Prime Minister of Armenia, Nikol Pashinyan, was quoted as saying in a press conference by Armenpress on Tuesday. He was commenting on the US Embassy statement that a group of American experts on sanctions policy against Iran visited Armenia recently, Armenian news agency News Am reported. “We need to intensively develop those relations [with Iran], and those relations should be mutually beneficial,” Financial Tribune quoted Pashinyan as saying. "The Central Bank of Armenia does not prohibit banks from serving citizens of the Islamic Republic of Iran with any directive or normative act,” the CBA said in written comments to Public Radio of Armenia. According to the law, the Armenian banks have to carry out customer risk assessment, classify those who are in contact with non-complying countries as high-risk customers and take steps to conduct a deeper analysis. The central bank said banks might refrain from serving a group of customers, taking onto consideration the restrictions enforced by partner and correspondent banks and does not rule out citizens of Iran could be among such clients. With Armenia’s borders with Azerbaijan and Turkey closed due to the Nagorno-Karabakh conflict, Iran and Georgia serve as the sole conduits for the landlocked country’s trade with the outside world. Armenia also imports Iranian natural gas and other fuel. The volume of gas supplies should rise sharply after the ongoing construction of a third power transmission line connecting the two countries is completed next year. Accordingly, both the current and former Armenian governments have supported a 2015 multilateral accord on Iran’s nuclear program that led to the lifting of international sanctions against Tehran. Trump unilaterally pulled out of that deal earlier this year. Last month, Pashinyan expressed readiness to help strengthen commercial ties between Iran and the Eurasia Economic Union. “This year, EEU member states and Iran signed an interim agreement as a first step for the formation of an Iran-EEU free trade zone. Armenia is the only EEU member state that has a land border with Iran," he said. Iran and the Eurasian Economic Union are looking to substantially increase trade, as the two sides signed a three-year provisional agreement on May 17 for the bloc to welcome Iran into EEU. "The presence of common border and the formation of free trade zone with Iran are an additional impetus for the development of commercial and economic ties," Pashinyan concluded.